Sidewalk Salon- Now in Arabic! Beneath the headlines of political unrest, economic struggles and ad hoc urban growth, Manar Moursi and David Puig have found a unique way to display life in Cairo. 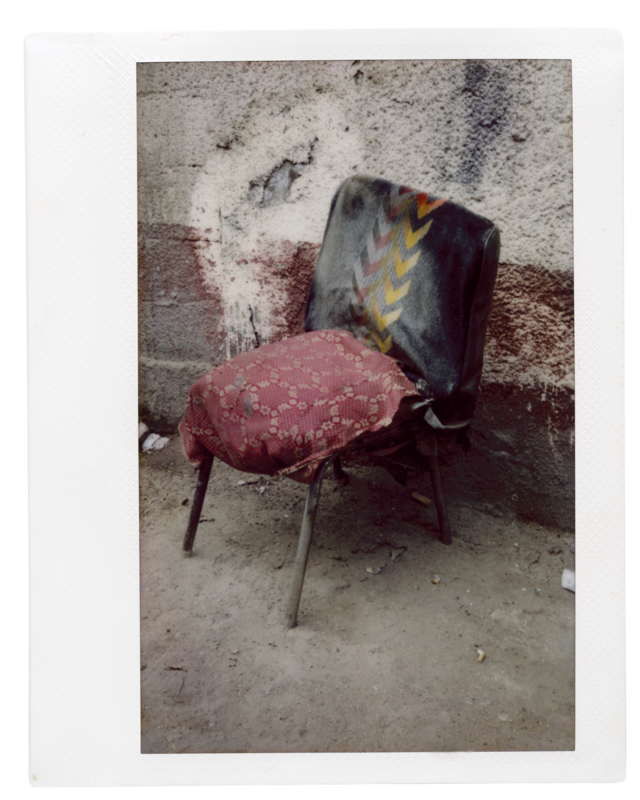 Over the past 3 years Moursi and Puig have traveled across Cairo collecting over 1000 Polaroid images of street chairs. Capturing chairs in neighborhoods as diverse as Shubra El Kheima, Khalifa and New Cairo, the duo has compiled the photos into Sidewalk Salon: 1001 Street Chairs of Cairo; the book seeks to present the creative practices of design that occur on sidewalks along with the unplanned interventions in public space that give Cairo its distinctive character. 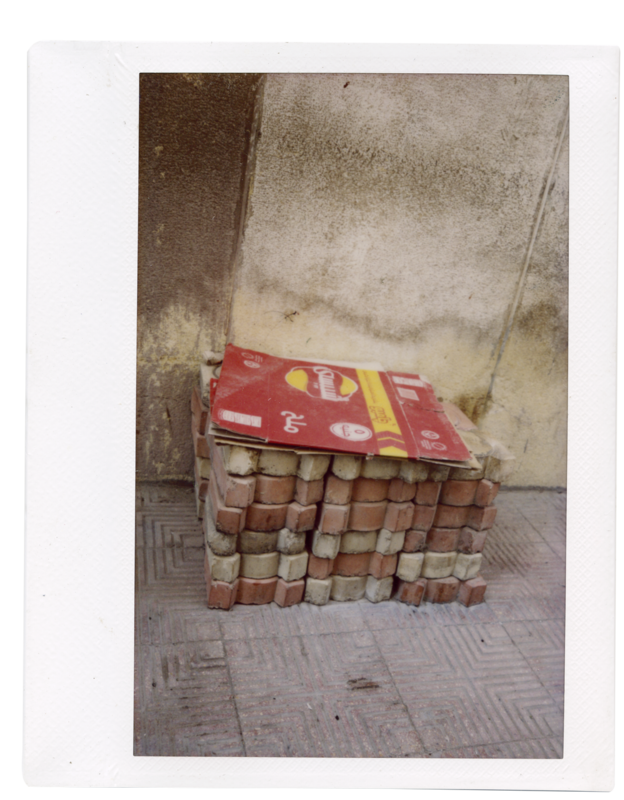 The result is an intimate portrayal of Cairo’s space and people. The project is primarily visual but also includes interviews with select street chair owners and fictional pieces of poetry and literature inspired by street chairs. Contributing authors include Yasser Abd El Latif, Taher al Sharqawy, Maged Zaher, Mohamed Al Fakhrani and Amira Hanafy. Sidewalk Salon will be available for purchase in Summer 2015. In order to raise money for printing costs 1001 Chairs is running a 40-day Indiegogo Campaign starting February 24th. To contribute to the campaign, click here. For more information about 1001 Chairs of Cairo, you can visit their website http://www.sidewalksaloncairo.com/.